Military Times has recognized Leidos as one of the 100 U.S. firms in 2018 that support military veterans and their families in terms of culture, recruitment and company policies. 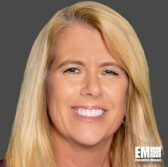 “Veterans understand what it means to view their work as a mission, leading to a strong work ethic and dedication to results,” Leidos Chief Human Resources Officer Ann Addison said in a statement issued Tuesday. She added the Reston, Va.-based firm will continue to hire and aid veterans and their families as they join the civilian workforce after serving their country. Leidos has hired more than 5,100 veterans and military spouses within four years under the Operation Military Veteran Program. Military Times surveyed and subjected more than 2,300 companies in the U.S. to criteria that included culture and military recruitment efforts, company policies supporting National Guard and Reserve service members, veteran regulations and the percentage of recruiting budget for retired warfighters. Forbes also included the engineering company in its “America’s Best Employers” and “Best Employers for Diversity” lists in 2018.